London went big today with BOLD colors and eye-catching PATTERNS. Inspired by British artist Henry Moore, Christopher Bailey’s Spring 2012 collection for Burberry Prorsum is a geometrical feast for the eyes. 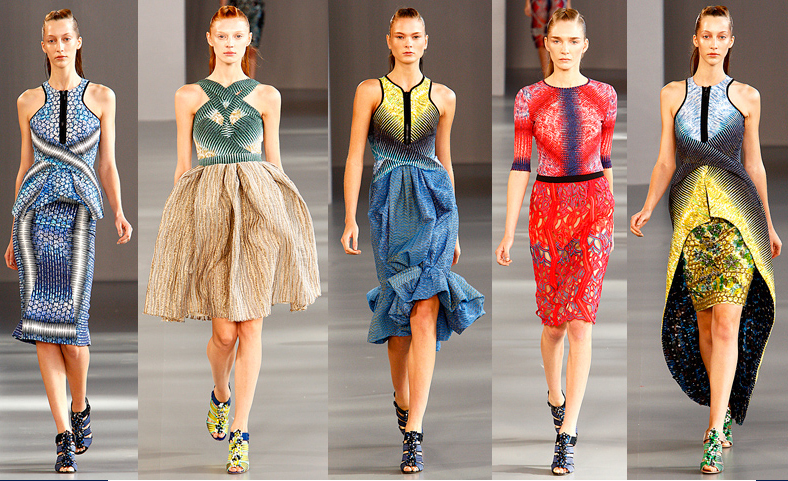 And at Peter Pilotto – it wasn’t just the shapes in the patterns that got eyes swirling about – it was the silhouettes of the dresses as well. ← Birthday Love from LUDA! great patterns…. yearning for Spring 2012 already!